The venue of the rally was not too far away from London. So not surprisingly, there were many buses originated from London. The following are a few London vintage buses appeared in the rally. AEC is no doubt a manufacturer which played a significant role in London's public transportation history. Both Regent and Routemaster are its masterpieces. The one in the above is a Regent III and its fleet number is RT 2043. The single deck bus next to it is a Leyland Tiger and its fleet number is TD 95. 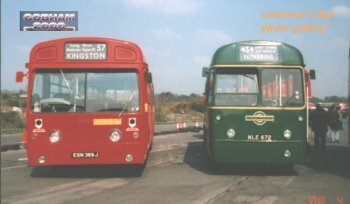 A ex-London Transport's Leyland Titan with fleet number RTW 29 stands side by side with a Maidstone & District's Mercedes mini bus. The mini bus usually runs in the Kent area. 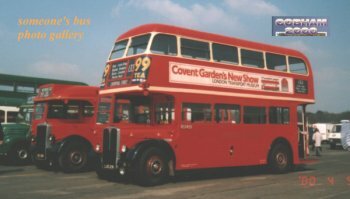 Two single deck buses which served London's suburb once upon a time. 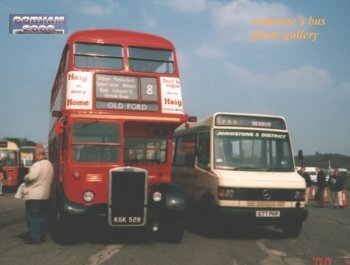 The red bus on the left hand side has symbols at the front stating that it is a single man operated bus with no change given. If you have lived in Ruislip, Hillingdon, etc. 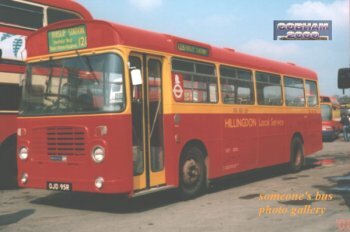 areas of NW London for years, do you still remember the days when this Bristol LH was running around and serving people?